Is a pleasure for Airsoft International® to introduce you a very big news in the airsoft world. 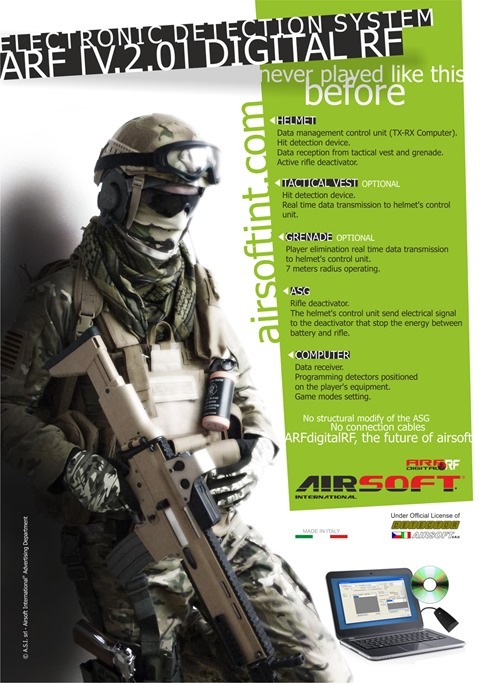 From today, Airsoft International® is the Official and Unique Distributor for the new ARF DIGITAL system under official license of Detector Airsoft s.r.o. 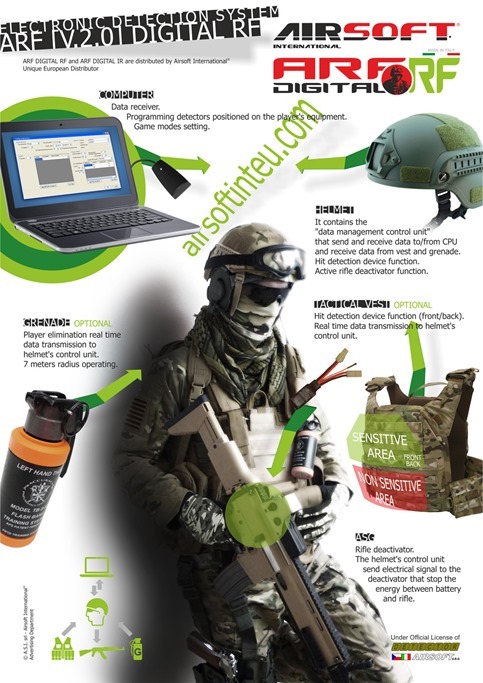 ARF DIGITAL is the most complete automatic marking system for airsoft. Is divided into two different systems: RF and IR. RF is the DIGITAL RADIO system and IR is the DIGITAL INFRARED. 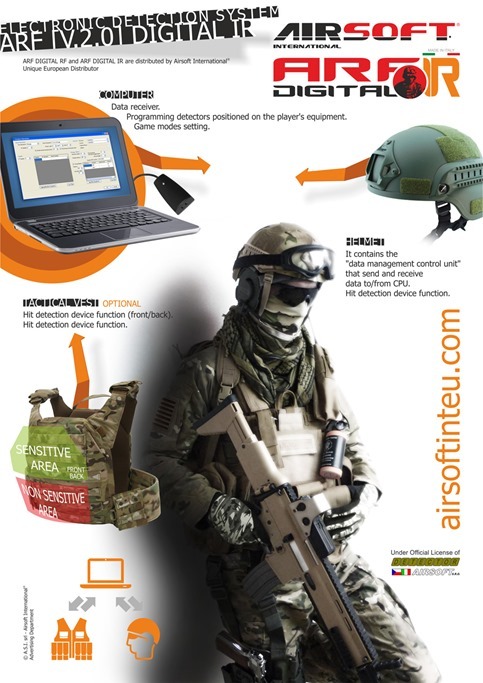 Both systems allows you to permanently eliminate all the problems about declaration of the players and makes the game much more real without structural changes of the ASG, completely wireless and continuing using all aspects of traditional airsoft. 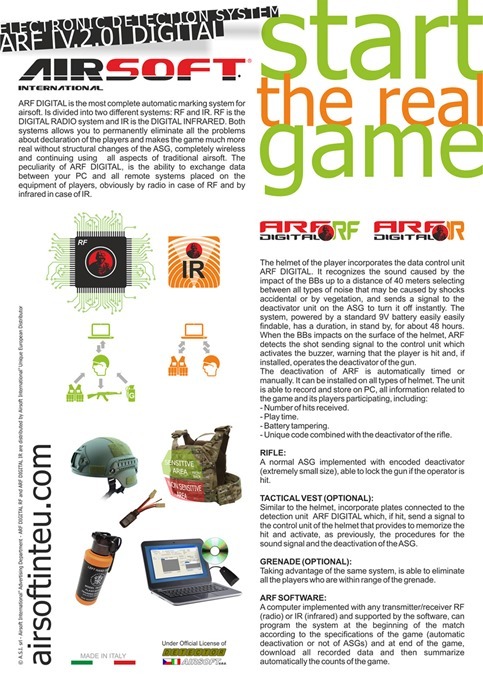 The peculiarity of ARF DIGITAL, is the ability to exchange data between your PC and all remote systems placed on the equipment of players, obviously by radio in case of RF and by infrared in case of IR.